Gift Certificates – How to order one! The perfect gift this Christmas! Do you want to make a donation to Kids for Kids on behalf of a loved one this Holiday Season? Here we show you exactly how you can – and receive a fantastic Gift Certificate to give them! Visit our website and choose the gift you would like to give. This can be absolutely anything from a Goat, Donkey, Mosquito Nets, Farm Tools, Education for a child for the year, or anything else you desire! Make your donation online. As you check out, the website will ask you for any ‘Order Notes’ you may have. In this box please write details of the Gift Certificate(s), including the spelling of all names. Please include To, From, and any other message you would like. Please also detail where you would like it emailed or mailed. We create a Gift Certificate just for your loved one! The perfect gift – a gift that gives on. 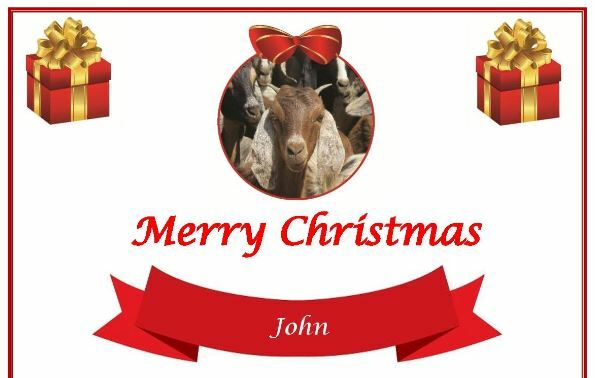 We give your gift to a family in Darfur, and create a personalised Gift Certificate for your loved one. All our projects are sustainable so your gift will go on to help more and more families each year. Kids for Kids is helping people to help themselves, stay in their homes, and give children a chance at a better future. Our sustainable projects lift families out of poverty and transform whole communities long-term. Every donation you make this Holiday Season will help us to continue our life saving work in Darfur and adopt five new villages in 2019. 2018 was one of the most difficult year’s we have seen in Darfur, with drought and then famine leaving families hungry for most of the year. For the first time, Kids for Kids had to provide emergency aid and in 2019 we will have to help families rebuild. Your support this time of year will make certain we are giving families the best possible chance next year. Thank you for making a real difference this holiday season! If you have any questions or need any additional help please email contact@kidsforkids.org.uk or ring Sage Lancaster on 07528 194495. We are more than happy to help!